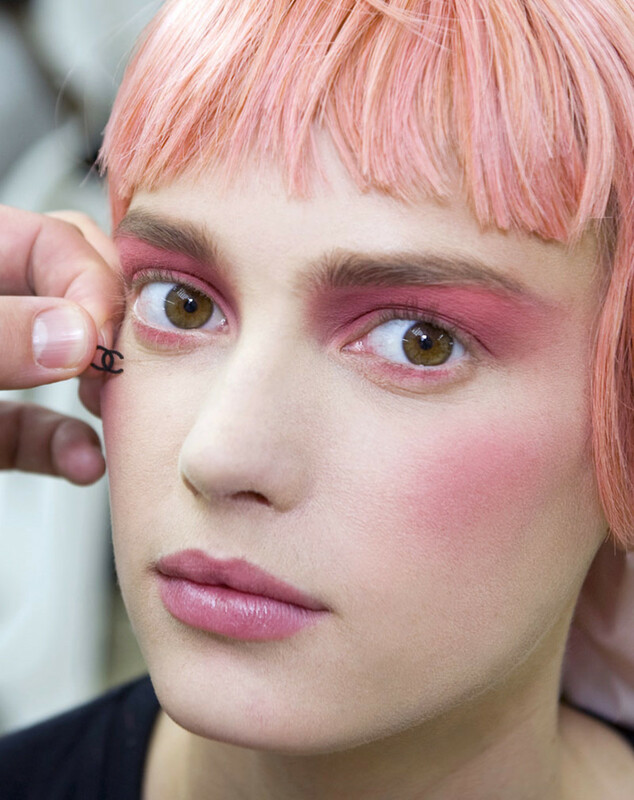 Pink eyes is not a good beauty look. Well, unless you&apos;re Peter Philips, Global Director for Chanel Makeup. He makes pink eyes covetable. 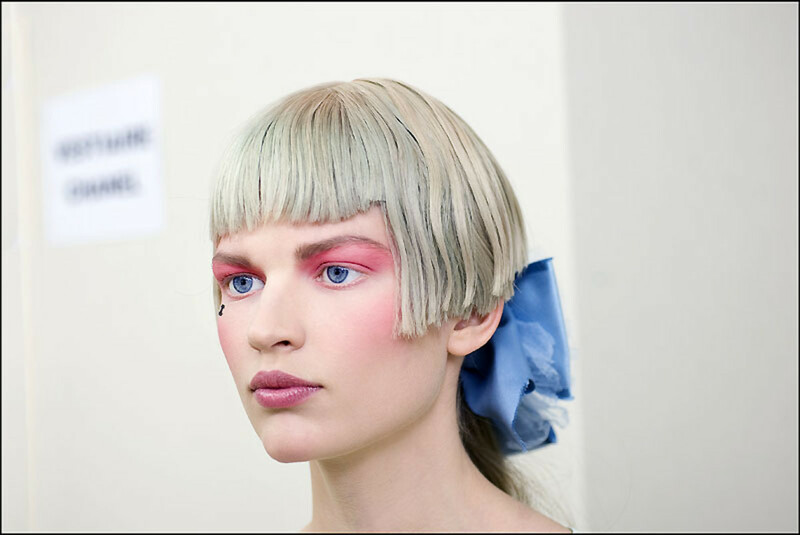 I&apos;m thinking the Panem&apos;s Capitol citizens could take a beauty cue from Chanel&apos;s 2012-13 Cruise runway show at Versailles. 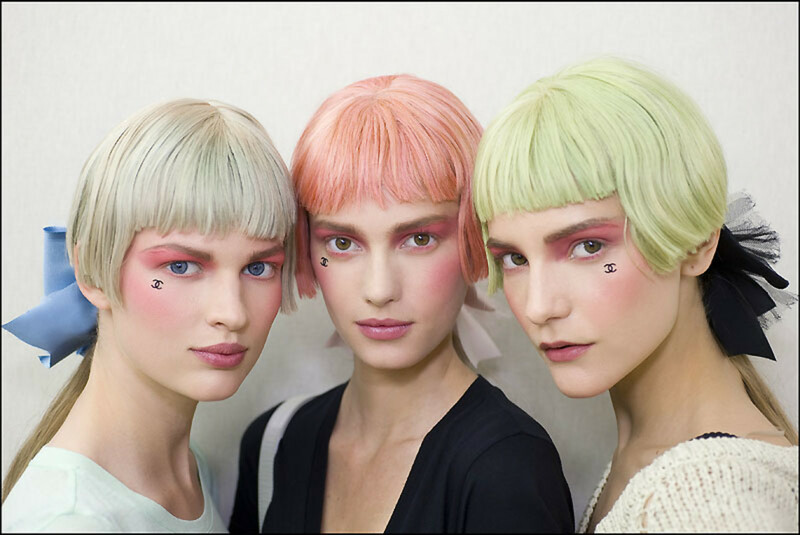 Pastel wigs with bangs to spotlight eyes are part of why this look works, yes? Note the strong-but-not-too-strong brows, and the lack of mascara. 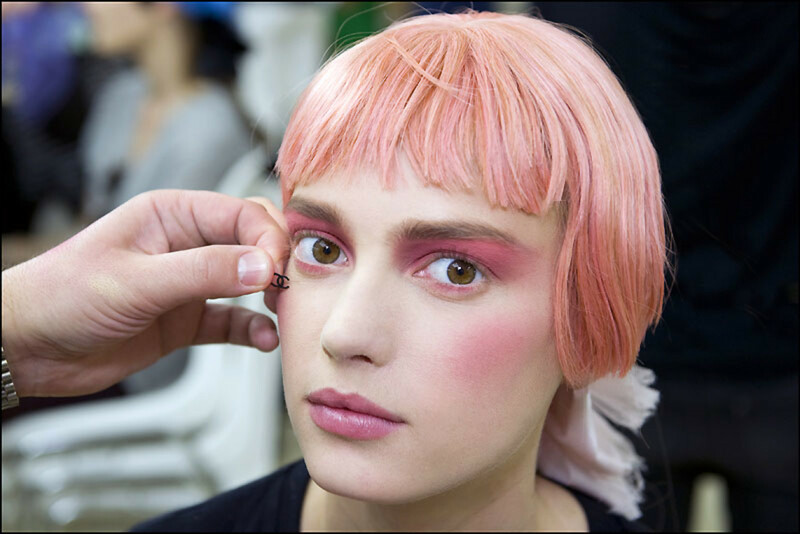 This rosy pink has conviction -- clean and bold from lid to brow, it circumvents the pink-eye pitfall that can occur with a wishy-washy shade. Also helpful in avoiding the rabbit-eyed look: the unblemished white of young eyes. Matte skin, a hint of shadow touched along the middle of the lower lashline, and slightly feverish cheeks. Focussing the colour on the outside apple keeps this doll-like look from clown-town. A low-sheen lip moderates the look too. No, no plans to make the created-for-the-show velvet Chanel logo appliquÃ© available for purchase at this time. 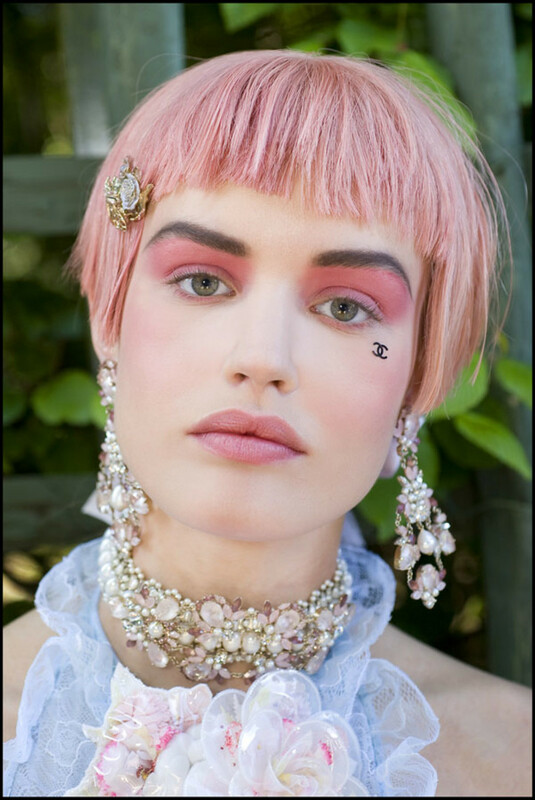 *A limited-edition Versailles de Chanel collection, available in December 2012, will include the Mouche de Beaute Highlighting Powder and the Ombre Essentielle eye shadow in Rose Favorite. Mouche de Beaute means "beauty mark," by the way. What do you think? Something you&apos;d do? Photos by Vincent Lappartient, courtesy of Chanel.